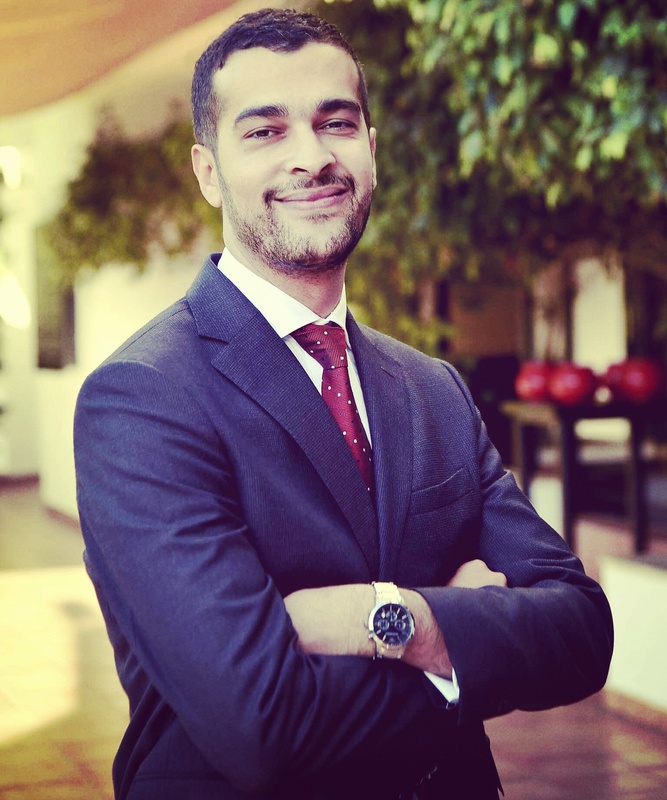 This description of Mohamed Zariat's work was prepared when Mohamed Zariat was elected to the Ashoka Fellowship in 2018. Through a comprehensive system that successfully brings together youth, parents, teachers, trainers and the public and private sectors, Mohamed Zariat is changing youth’s self-image by institutionalizing sports as a means to achieve self-efficacy. Mohamed is instilling a sense of self-efficacy and belonging in the youth of Morocco’s disenfranchised communities. Through access to sports, he is building a generation of youth from underprivileged communities that have self-worth, improved academic achievements, and competent job skills. Mohamed developed a series of interventions that address the lack of useful activity and learning opportunities for the most disadvantaged youth, helping them become active contributors to their families and communities, unlocking their human potential, and building new skill-sets vital in today’s fiercely competitive job market. By building an eco-system that utilizes sports to empower and inspire active citizens- Changemakers- Mohamed explicitly combats youth’s identity crisis and alters their self-image. For the first time in North Africa, Mohamed transcended beyond traditional models of sports and youth clubs by identifying ways to introduce his approach and insert his curriculum in public schools, creating a new community dynamic that revolves around youth, parents, teachers and trainers. Through his career as a professional athlete, he understood the power of positive reinforcement, leadership, and creating a sense of belonging and community, which led him to build a series of interventions to transfer these important life skills to a generation that would otherwise have little future prospects. Moroccan youth’s lack of self-efficacy and a sense of belonging are the two major problems Mohamed is solving through his organization, Tibu. An indicator for the lack of identity or sense of belonging among young Moroccans is the high recruitment rate by extremist groups. Considered one of the top regions from which ISIS fighters are recruited, the Maghreb region is the origin of over 6000 ISIS foreign fighters, with Tunisia having the highest ratio per capita. According to research explaining the reasons for the high influx of ISIS fighters, there is a strong positive correlation between exclusion/isolation and radicalization by terrorist groups (Efraim Benmelech, 2016). ISIS offers disenfranchised young people a cultural community and a sense of belonging to a higher cause. Further, Morocco is plagued by numerous socio-economic issues manifested in high unemployment- and drop-out rates, male gender bias as well as urban bias; diminished opportunities that inevitably lead to a lack of self-efficacy and self-worth. One of the major causes of youth’s growing doubts in their abilities is Morocco’s high unemployment rates. Unemployment reinforces their feeling of malaise especially within the family that always thought its youth were “useless.” Kids in marginalized communities are not even called by their names. They are referred to as “animals” or “objects.” If children are not even validated by their families, why would society at large treat them any better? In 2017, the average youth unemployment rate was estimated at 30%, reaching 38% for women (World Bank). Furthermore, in 2010, almost 90% of young women and 40% of young men were not in school; they were either in a situation of “inactivity” or “unemployment” with 80% having little or no education. Over the past 12 years, 4 million students quit school. Following the 2011 uprisings in the region, the problem of youth unemployment has become increasingly present in the discourse of state actors, but not much was done to tackle the issue. Furthermore, the experience of exclusion and oppression is profoundly gender differentiated. The patriarchal nature of Moroccan society confirms that a father’s authority still weighs more on females than males. Men and women do not have the same rights within society and women’s freedoms are more restricted in comparison to men’s. In Morocco, women always need to do more than men to “impose themselves.” They have to “fight on a daily basis for their rights.” To this day, a male from the rural area stresses that girls “should walk with their eyes looking down on the floor.” Although most females cope with inflicted injustice, it is with no doubt a daily struggle. While high radicalization- and unemployment rates strongly indicate a lack of identity and belonging, high dropout rates accompanied by widening gender and geographic gaps may be emblematic of a regional condition of self-efficacy and self-worth, and in the absence of an effective governmental strategy, several bottom-up approaches have ensued to counter this narrative. Mohamed realized that the school years are critical for students to learn how to be responsible, active citizens and to unlock their hidden potentials. However, restrictions within the education system and the proportion of resources inevitably discriminates against students of underprivileged social backgrounds. His model is spreading and becoming institutionalized across Morocco. Mohamed believes that creating an inclusive community that youth identify with and belong to, is essential to educate independent young people and create active citizens. By incorporating his methods into the national school curriculum, Mohamed ensures that the skills he teaches are incorporated across the country—and therefore transforming the way today’s young people are raised. Together with his organization, Mohamed adopts a four-pronged holistic strategy that entails a full curriculum combining sports training with an enhancement program, a parent and teacher training, and a “train the trainer” program to ensure sustainability. In addition to rigorous sports training, the enhancement program comprised of a full self-development and social engagement package includes but is not limited to psychological counseling, self-worth training, pedagogical follow-up, career counseling, and experiential programs on personal hygiene, health and ethics as well as entrepreneurship skills. The enhancement program also includes social action projects that revolve around culture-specific topics such as terrorism and extremism, and how youth can combat these forces. Mohamed customizes his curriculum and implements it in different ways to target young boys and girls in the Maghreb region. His program is implemented in short versions through mobile caravans that go to schools and remote regions, as well as summer camps to give his target market a flavor of his projects. However, the core of his program revolves around Tibu Centers. In 2015, Mohamed signed an agreement with the Ministry of Education to give him access to public schools. He partnered with the government to open youth centers to spread his idea and systemically engage youth nation-wide. Since its inception in 2011, Mohamed launched 16 centers across Morocco’s working class neighbourhoods in 7 regions, impacting 2000 beneficiaries, and 3500 parents. In each center, 120 students are enrolled, 50% of which are girls. Students are taught to build teams and self-organize to come up with their own team names and mascots. Despite their differences, all wear the same uniforms provided by sponsors, creating a sense of harmony within teams. With 15% of Morocco’s population living on less than 3$/day, and many more living in unfavorable conditions, these activities are unprecedented in these areas. Mohamed also introduced Morocco’s first Basketball academy dedicated to youth with reduced mobility to integrate them into the system. An example of Mohamed’s impact is the effect of Tibu on Karim, a 15-year-old living in Fnideq, a region famous for its high crime rates, not far from Spain and Tangier. Karim would often buy smuggled goods and illegally resell them. When, Ayoub, a coach and member of Tibu staff, first met Karim and talked to him about Tibu’s values, vision and philosophy, he convinced him to get involved. Karim began to understand the dangers his previous life posed on him, and started dedicating himself to his school work and Tibu. Today, Karim is fully aware of what he needs to do to become an engaged citizen and honourable businessperson. Another example is the ability of a student, who trained at one of Mohamed’s camps in 2012, to become a Tibu coach today. Wherever Mohamed implements his program, he organizes focus groups for parents to follow up with young adult’s progress, and trains teachers on his methodology to ensure quality training and teaching. In all of his work, Mohamed mobilizes the private sector to fund young people’s access to sports as well as the public sector through his collaboration with the Ministry of Education to provide him with the necessary venues, equipment and access to schools, and administrations. Mohamed trains the students and teachers to become the new basketball coaches to sustain the implementation of the program and come up with their own plans for sports programs within their schools. They also have several partnerships with private universities that provide full academic scholarships to students, who successfully graduate from Tibu’s programs. Lastly, as part of his community mobilization model, in collaboration with a foreign company, Mohamed is creating a white book, “Tibu Label”, which is a detailed, step-by-step manual on how to coach young people from underprivileged communities, develop their cognitive skills, and unlock and manage their hidden potentials through sports. The premise of this manual derives from Mohamed’s insights, extensive field work and community needs. To measure his impact, Mohamed adopts several innovative tools such as pre- and post-surveys completed by trainees’ and their parents, which inquire about trainees’ GPAs, behavioral patterns, and academic commitment and achievement levels. Through Tibu, Mohamed involves different community actors to commit to sports as an integral part of young people’s experience of growing up in the Middle East. This creates a generation of self-confident young people that are much more likely to be accomplished academically, socially and leading healthier lives; characteristics vital to the development of a respectable, ambitious, patriotic citizen that has a sense of belonging to his/her community. While attending a public middle school in Morocco, Mohamed was told he had great potential in Basketball, so he joined one of the most famous sports clubs in Casablanca, where he started his Basketball career. Along with his team, Mohamed won five national championships, and received the Most Valuable Player award, when he was only 13 years old. He had a dream of becoming Morocco’s first NBA player. Coming from a modest background, however, he could not afford sports studies. Conventionally, to pursue a Basketball career in Morocco, one has to join a specialized academy or study in the US or France, yet Mohamed had no access to both opportunities. Nonetheless, Mohamed still learned a lot from the sport, from his coaches, and his colleagues. The sport granted him a sense of team work and imagination, and he wasn’t going to easily let go of it. So, he went to a private school of management, the fees of which he could not afford, but proposed a solution to the university president. He told him that he wanted to join his prestigious school, but could not afford the fees, suggesting to start a Basketball team at the university, making it the first university Basketball team in Morocco. He would train the students in return for a 3-year academic scholarship. The deal was sealed. In 2010, Mohamed had a bigger dream. He wanted to organize tournaments, so he organized an international tournament, which is how TIBU started- Tournament International Basketball University. Although TIBU started as a Basketball activity, it quickly evolved into a social model, as Mohamed did not want youth to go through his experience of not being able to play sports just because they cannot afford it. When asked about the kids, Mohamed clearly states that he sees himself in them, and insists on securing a better future for them.